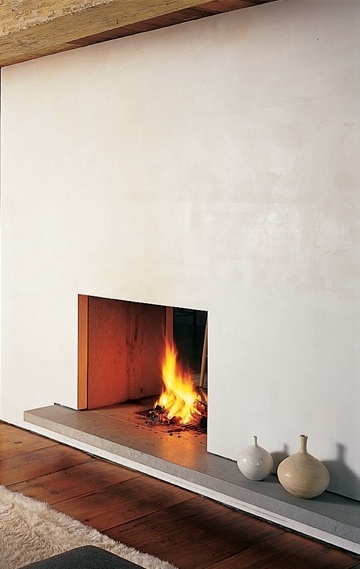 A minimal hearth for a simple fireplace by Messana O’Rorke. Love the color palate here too. 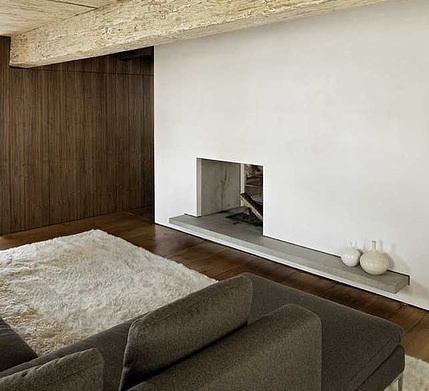 The floating stone hearth fits perfectly with a little reveal. Nice. wowww. really so dramatic with a fire.